The Mark I Top is the original rest top produced by Randolph Machine, Inc. The Mark I uses the shooters own Owl Ear bag (available from most shooting supply stores). The bag is held in place by two clamps on the base or allowed to lay free between the clamps. Using the adjusting screws on either side, the bag is compressed for a custom fit on the stock. This becomes a great advantage for shooters using a sporter rifle. 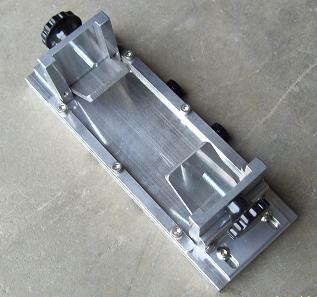 This precision machined top is interchangeable with either rest and costs $120*. 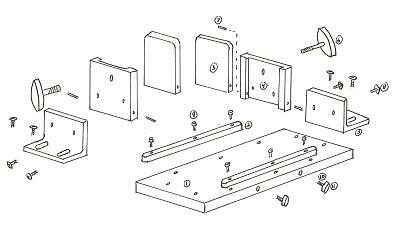 Click here for an exploded view of the Mark I Top.